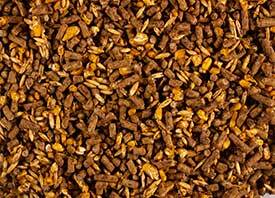 A high energy, highly palatable textured grain concentrate for mature horses. Formulated at a (10%) level of protein to support growth, showing and other maintenance activity. Added B-complex vitamins to help maintain your horse’s appetite and health.• High in energy and low in protein. 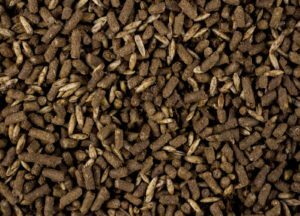 Feed as a grain concentrate to horses at the rate of 0.5 to 1.00 pounds per 100 pounds of body weight daily split into two or three feedings. All CELEBRATION horse feeds should be fed with liberal quantities of good quality hay and/or pasture and free choice salt. Store feed in a clean, dry place protected from insects and rodents. Never feed moldy or insect-infested feed to horses as it may cause illness, abortion or death. Grain products, plant protein products, roughage products, processed grain by-products, molasses products, vegetable oil, monocalcium phosphate, dicalcium phosphate, calcium carbonate, salt, potassium chloride, potassium sulfate, magnesium oxide, magnesium sulfate, zinc sulfate, ferrous sulfate, manganese sulfate, copper sulfate, ethylenediamine dihydriodide, cobalt sulfate, sodium selenite, vitamin A supplement, vitamin D3 supplement, vitamin E supplement, menadione sodium bisulfite complex, choline chloride, riboflavin, calcium pantothenate, niacin, biotin, folic acid, thiamine mononitrate, pyridoxine hydrochloride, vitamin B12 supplement, sodium selenite. A high energy, highly palatable textured grain concentrate for performance horses, pleasure horses, broodmares and stallions. Formulated at a (11%) level of protein to support showing and other maintenance activity. Formulated to provide the energy and protein required to repair muscles, this product enhances endurance and promotes growth. Formulated with high fat 6% level to increase energy to support performance and improve hair coat. Provides the energy and protein required to repair muscles, enhance endurance and performance. Contains high levels of vitamins to enhance the immune response, improve hair coat and body condition and over-all health. Contains high zinc levels to promote proper hoof growth. 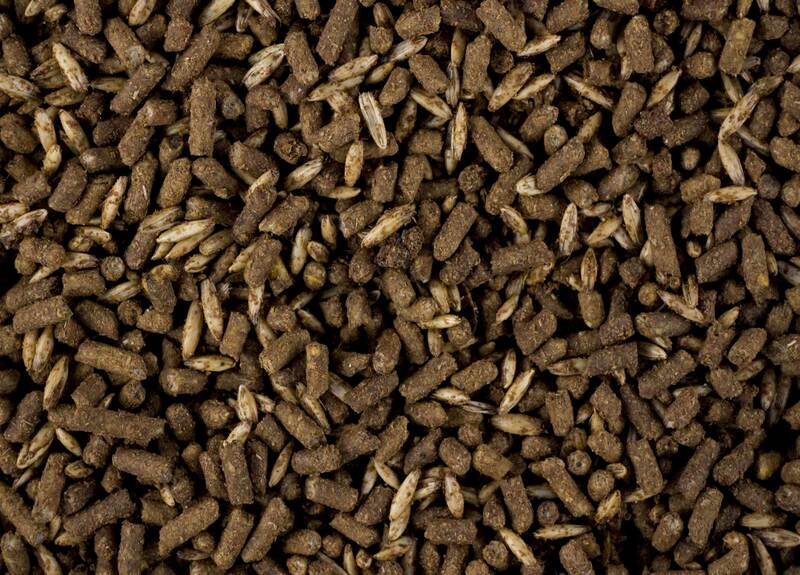 This is a fully fortified textured sweet feed. It is not necessary to add additional protein, vitamin, or mineral supplements if this feed is fed as directed. Always feed a minimum of one pound of clean, mold-free hay or pasture dry matter per 100 pounds of body weight to maintain good digestive tract health. Provide clean, fresh water and free choice salt at all times. Never feed more than five pounds of feed at one meal. Feed at the rate of 0.25-0.75% of body weight per day and adjust to maintain desired body condition.d the use of CARTER MIX MARE & FOAL FEED for these horses. Feed at the rate of 0.50 - 1.25% of their body weight per day. Feed barren and early pregnant mares 6-8 lb. per day if a poor quality forage is being fed. 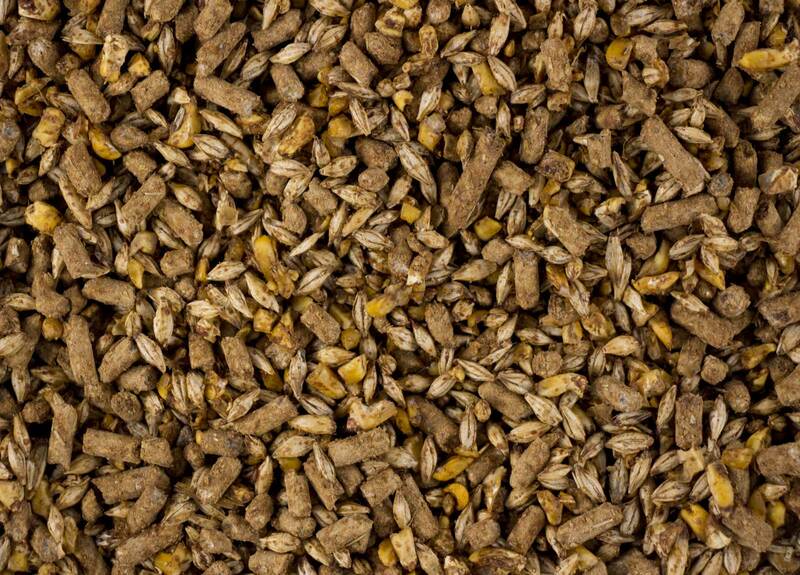 If a good quality forage is available feed intake can be decreased. Late pregnant mares should be fed 8-10 lbs. per day of this feed plus liberal quantities of good quality forage. Feed 8-12 lbs. per day of this feed in addition to liberal quantities of good hay and/or pasture depending on body condition and milk production. If poor quality fescue forage is being used it is recommended that CARTER MIX 16% MARE & FOAL FEED be used. To be fed at a rate of 0.75-1.50% of body weight per day. 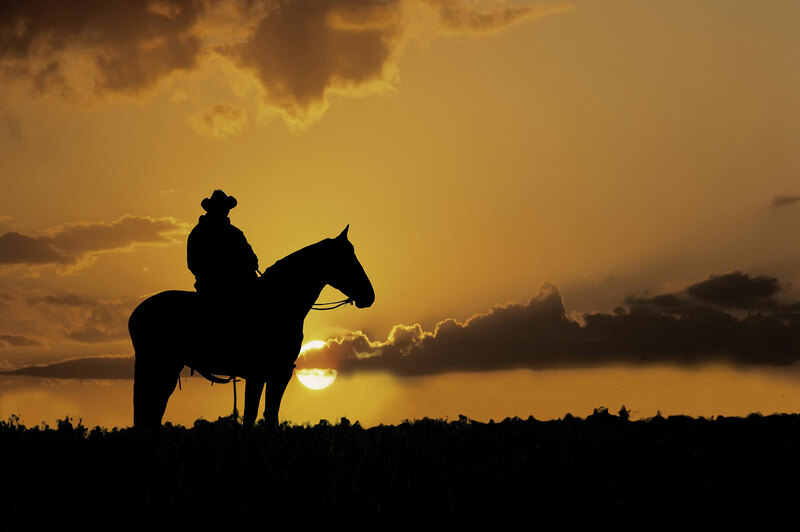 For most light horses this amounts to 8-12 pounds per day. Horses should have feed intake adjusted up or down depending on body condition, desired rate of growth and forage quality and availability. During breeding season, feed at the rate of 0.5-1.0% of body weight. Adjust amount according to body condition. During the no-breeding season feed at the rate of 0.25-0.50% of body weight to regain and maintain desired body condition. CAUTION - Store feed in a clean, dry place protected from insects and rodents. Grain products, plant protein products, roughage products, processed grain by-products, molasses products, soybean oil, L-lysine, monocalcium phosphate, dicalcium phosphate, calcium carbonate, salt, potassium chloride, potassium sulfate, magnesium oxide, magnesium sulfate, zinc sulfate, ferrous sulfate, manganese sulfate, copper sulfate, ethylenediamine dihydriodide, cobalt sulfate, sodium selenite, selenium yeast, brewer’s dried yeast, vitamin A supplement, vitamin D3 supplement, d-alpha tocopherol acetate (source of vitamin E), menadione sodium bisulfite complex, choline chloride, riboflavin, calcium pantothenate, niacin, biotin, folic acid, thiamine mononitrate, pyridoxine hydrochloride, vitamin B12 supplement, sodium selenite, zinc proteinate, iron proteinate, manganese proteinate, copper proteinate, yeast culture.